Our Orthopedic Rehabilitation Programs offer resident-focused therapy plans designed to treat injuries to the musculoskeletal system – including bones, joints, ligaments, tendons and muscles – and return them to a state of smooth mobility and independence. If you have had a joint replacement, fracture, motor vehicle accident, spinal injury, amputation or osteoporosis you are an ideal candidate for this program. As a resident, you will undergo a combination of treatment regimens, as well as physical and occupational therapies, designed to return you to your highest level of functioning as soon as possible. Our orthopedic rehabilitation programs are administered under the direction of a board-certified physiatrist who works in conjunction with your primary care physician and surgeon. Once our orthopedists have conducted a thorough examination to determine your level of functioning, they will set realistic goals and develop an intensive treatment plan tailored to your present and future abilities. Our goal-oriented approach to orthopedic recovery concedes all aspects of your capabilities while restoring you to maximum level of function. 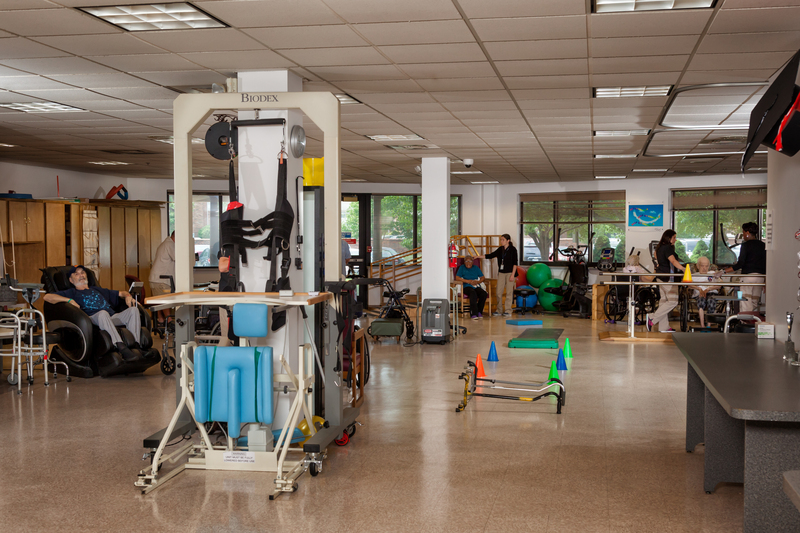 Orthopedic rehab offers a convenient option for reclaiming your mobility and independence.